Republican presidential candidate Mitt Romney stumps in Morrison, Colo. with running mate Paul Ryan as they crisscross the country visiting key swing states with only two weeks before the election. MORRISON, Colo. — For the second time Tuesday, Republican presidential nominee Mitt Romney portrayed his campaign as one that cannot be stopped and attacked President Barack Obama’s lack of vision for the country. Romney and his running mate, Wisconsin Congressman Paul Ryan, made their first joint appearance together in the Centennial State with giant blue “R” lights on the rocks over the amphitheater just outside of Denver. “We're on the home stretch now and I think the people of Colorado are going to get us all the way there, what do you think?” Romney declared before the crowd of roughly 12,000. In recent weeks, the Romney campaign has become increasingly bullish on their chances for victory in Colorado. It is a state that Barack Obama carried by more than eight points in 2008 but which went Republican in every preceding presidential election dating back to 1992. According to the CBS/NYT/Quinnipiac poll from the beginning of October, Romney was barely leading Obama here 48 percent to 47 percent. Advisers to the GOP nominee say they see the suburbs around Denver, particularly in Jefferson County, where Tuesday night's rally was held, as ripe with swing voters, disappointed in the president's leadership. "We feel really good about Colorado. I think the key swing counties that we're going to be near in the next —during our trip there -- Jefferson county and Arapahoe county -- are I think key to our —are a big part of a winning turn-out model there," Romney senior adviser Kevin Madden told reporters traveling with Romney today. "I think those voters in those counties and elsewhere throughout the state are focused on the economy." Romney took time during the nighttime rally that also featured performers Kid Rock and Rodney Atkins to thank all the supporters who are helping the GOP ticket across the country. “You hear the word grassroots from time to time, about how the grassroots are involved. You recognize that the most important thing in helping change the course of a nation and setting the course on a path that will lead to greatness and prosperity again and again, that is the grassroots of America. That's the people of America. That's who we are tonight. That is you, and your willingness to be here tonight. 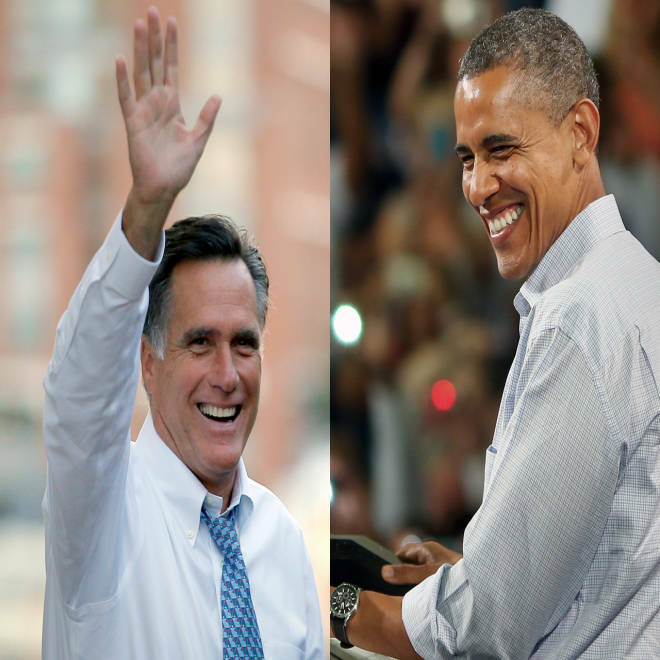 It makes the difference,” Romney said, with just 14 days to go until Election Day.